Politics are hard to handle, especially as a senior in college governing the entire student body. Chris Campanelli ‘19, Providence College’s 69th student congress executive president, has a lot on his plate, including classes, leading meetings, and being the liaison between the administration and the student body. Campanelli is also a Global Ambassador to the International Studies Office and a member of various political and service organizations. With confidence and poise, Campanelli is sure that his new responsibility will not only top his college experience but also help students be confident in PC’s administration. Campanelli’s involvement on campus began his freshman year as a member of the freshman student congress. He was a class of 2019 representative and committee member. His early involvement in multiple social and academic scenes allowed him to flourish, both as president and as an individual. Over the next two semesters, Campanelli will hold executive power alongside the rest of Student Congress and discuss PC’s progress with Acting President Father Sicard, O.P. “While being President is a tough job, it is extremely rewarding. 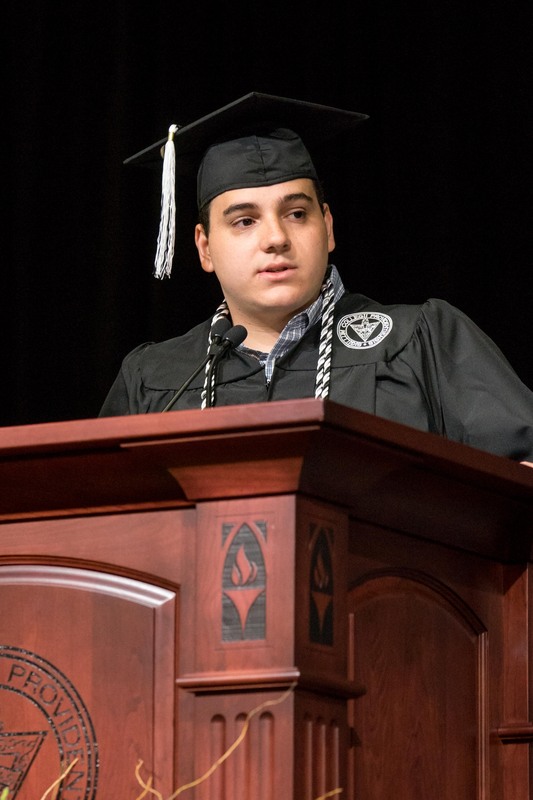 Along the way seeing the change and the passion our student leaders bring to Student Congress and campus is uplifting for the future of Providence College but also for our country,” said Campanelli. As a political science major, Campanelli’s position on campus seems fitting. Along with his insertion into the College’s political scene, he is also interested in sociology. As the main source of communication for the student body, his minor in sociology allows him to study accurate and efficient ways to be the best executive leader he can be. Campanelli said he is grateful for the opportunity Student Congress has given him, and that he looks forward to the rest of the year. The future for Campanelli looks bright. “After college, I plan to work in the politics or public relations field and hope to attend law school in Washington, D.C.,” Campanelli said about his future plans. Come May, he hopes to carry his experience as student body president with him to law school and into the future.